Part of my job with New Student & Family Programs was to design T-shirts for various events and groups. At first I found it rather difficult to get my head around the illustrative side of design because I mainly do typography and layout work, but as I went along I got to where I really enjoyed it and continue to do it now if I have time. Every Cardinal Nights event features free shirts given to many of those who attend. I was given the opportunity to design this one and was really happy with the final result. 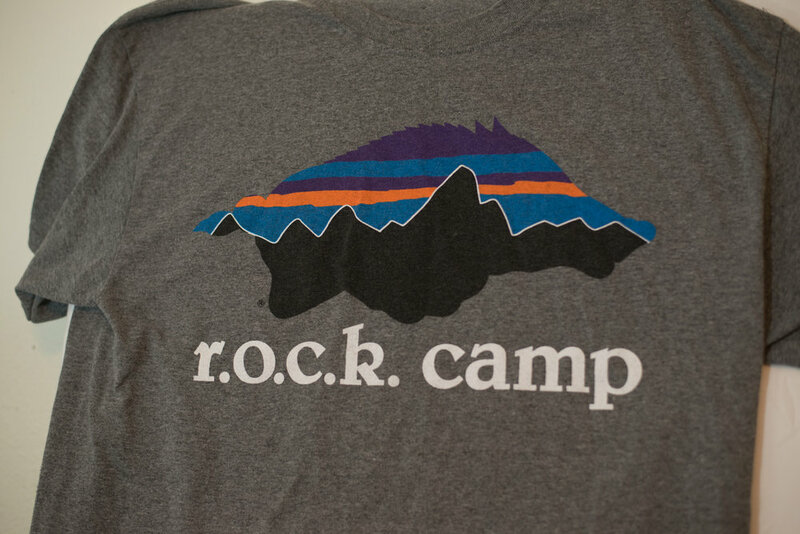 The Rock Camp staff had to have 4 shirts designed, one for each day of camp. The last day is for the float trip and they requested a tank top design. 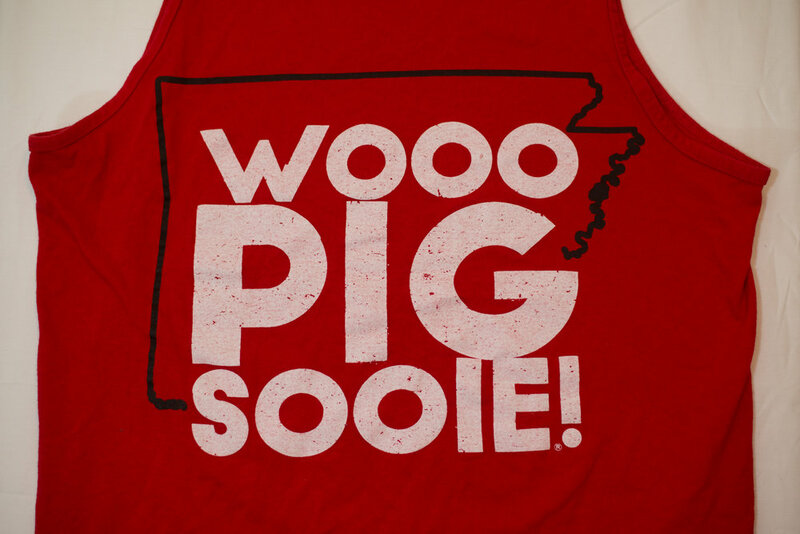 This simple red tank, featuring the signature WOOO PIG SOOIE Hog call enclosed in an outline of the state of Arkansas was a hit for all of the mentors at Rock Camp. Day 3 of Rock Camp was a simple Running Razorback design but also using the Patagonia design as inspiration, approved by licensing (and was one of their favorites). This design was simple to create but delivered a fun and new way of seeing the Razorback. Day 2 of Rock Camp was centered around our community service project. This nautical themed shirt was requested as a means of relating to the float trip that would be coming up on day 4 of the camp. The captain's wheel in this shirt was a purchased design and not of my own hand. The placement and utilization of all other elements is my own. Day 1 of Rock Camp is when the students arrive. This baseball tee design is a yearly favorite as it separates itself from another average t-shirt. R.O.C.K. Camp stands for Razorbacks, Outreach, Community, and Knowledge. These are the core foundations that we want to instill into the incoming freshman and hope that they are able to learn from the experience. My first shirt design was for the staff team-building retreat at Camp Heart O'Hills in Oklahoma. Using the Running Razoraback logo as a template, I took all the words that are central the NSFP Program and used them to create the Hog in text form. After this design my directors saw my knack for shirt design and allowed me to create all 4 of the camp shirts.